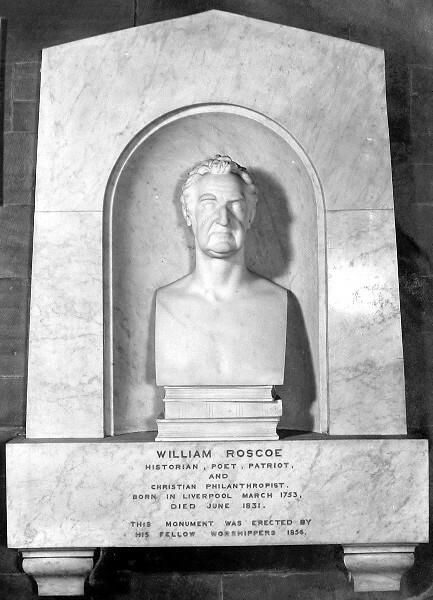 William Roscoe was a man of many talents and interests, but he is known particularly for being a historian and abolitionist. He was the son of a market gardener who also owned a public house, the Bowling Green, in Mount Pleasant – then a semi-rural location on the outskirts of Liverpool. He left school at 12, but continued to educate himself – and others – throughout the rest of his life. Initially, he worked alongside his father, during which time he bought his first book which was to be the start of a renowned collection. He also developed an interest in the fine arts and taught himself to read Latin, French and Italian. Articled as a solicitor in 1769, he went into business by himself in 1774 and went on to marry the daughter of a Liverpool tradesman. Together, they had ten children. In many ways, William was ahead of his time. For example, he founded a Society for the Encouragement of the Arts, Painting and Design in 1773, the first society of this kind outside London, and organised the first exhibition of painting in Liverpool featuring local artists. He also wrote a biography of Lorenzo de Medici, one of the patrons of the Renaissance, which encouraged him to promote cultural development in Liverpool to counterbalance the city’s thirst for trade. He also played an active part in the founding of the Liverpool Royal Institution and the Athenaeum Library. But one of his lifelong passions was denouncing the slave trade, which at this time played a huge part in Liverpool’s wealth. It was a brave move which could have seriously damaged his career, but he stood firm. He published pamphlets arguing against it and voted for a motion to abolish the slave trade during the one year he represented Liverpool as an MP in the House of Commons. After this, he came home to face a riot orchestrated by local slave traders. 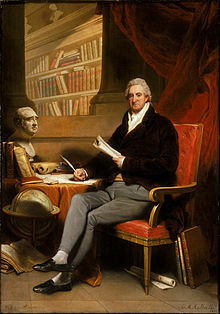 However, he calmly continued his work with Liverpool Society for the Abolition of Slavery for the remainder of his life. Disillusioned with the law, he pursued business interests in banking which almost resulted in bankruptcy during a period of severe economic depression in 1816. Sadly, he was forced to sell off his art and book collection, although his many friends bought what they could and donated them to the Liverpool Royal Institute and Athenaeum. Many remember him for the poems he wrote for children, the most famous of is The Butterfly’s Ball and the Grasshopper’s Feast, which reflected his lifelong interest in botany – among his many other accomplishments, he also established the Botanic Gardens in Liverpool. In 1831, aged 78, he died of influenza. He was interred in the burial ground next to Renshaw Street chapel, where as a devout Presbyterian he had worshipped, and close to the Old Bowling Green House Tavern where he had been born. Among many reminders of his work that remain in memory of him to this day in Liverpool, a monument stands in the cloisters of Ullet Road Church. Agnes was born into a wealthy family in Cambridge in 1832, but moved to Fahan, Co Donegal in Ireland while very young. Her father was in the army and the family travelled a great deal as he was posted overseas. Agnes herself was very religious and had a strong sense of responsibility from an early age, always concerned with welfare of others. In 1853, while on holiday with her family in Europe, Agnes met deaconesses from the Institute of Kaiserwerth, which ran one of the world’s first training schools for nursing. She also spent time at the Institution in Bonn, learning new standards of nursing. Once back in Ireland, she worked at Dublin Hospital, spending her spare time helping the sick and dying homeless in the city. Passionate about her calling, in 1859 she moved to London where she met Florence Nightingale and Sarah E Wardroper, at that time the senior nurse at St Thomas Hospital. 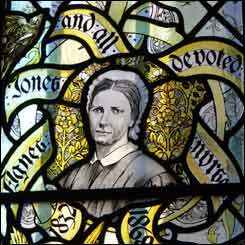 This inspired her to begin formal training as a nurse in 1862 at the Nightingale School at St Thomas’ Hospital. After a year’s study, she took up nursing roles in London, including acting as the Superintendent of the Great Northern Hospital from 1863-4. Meanwhile in Liverpool, the philanthropist and merchant William Rathbone was keen to improve standards for the poor. In 1865, on the recommendation of Florence Nightingale, Rathbone invited Agnes to take a lead role in his new experiment to introduce trained nurses to the Liverpool Workhouse Infirmary on Brownlow Hill. The law at the time discouraged the poor from entering the workhouses by making conditions inside far worse than for working poor outside. Those currently nursing the sick were female paupers who hadn’t had any nursing training. Rathbone believed so strongly in the measure that he personally funded the first three years of the experiment, rather than the money coming out of local taxes. Agnes was the first nurse countrywide to be appointed as the superintendent of such an institution. Agnes threw herself into the role with a passion, tackling the typhus and cholera raging through the patients by cleaning the wards, destroying filthy bed linen and further improving conditions. She headed up a team of 12 nurses and 65 assistant nurses. As a direct result of her actions, the mortality rate dropped and health and living conditions in the workhouse improved. However, her dedication to making the poor’s lives better took its toll on Agnes and she succumbed to typhus fever herself, dying on 19 Feb 1868 at the age of just 35. Although she was buried in St Mura’s Graveyard, Fahan, Ireland, Liverpool recognises her huge contribution to the welfare of the city with memorials including a window in the Lady Chapel of the Anglican Cathedral and a statue in the Cathedral Oratory. 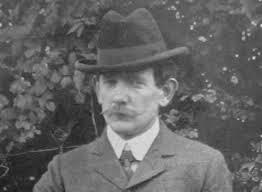 Robert Tressell the author of the famous book, The Ragged-Trousered Philanthropists, was born Robert Croker in Ireland, an illegitimate child whose father nonetheless acknowledged him. 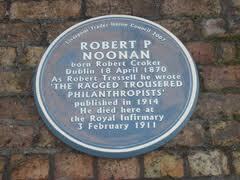 Robert later changed his name to Noonan, his mother’s maiden name. In 1888, he emigrated to Cape Town in South Africa where he earned a living as a painter and decorator. He married and his wife gave birth to a daughter, Kathleen. However, finding out that his wife had had a series of affairs, he divorced her and took custody of their child in 1897. They moved to Johannesburg and Robert became actively involved with the trades unions and politics. Around the time of the Second Boer War, Robert decided to relocate the family to England. Initially, life was good. Kathleen attended private schools and Robert found time to develop an interest in aviation, even designing and building a model airship that he hoped the War Office would be interested in. However, they rejected his proposal. He turned again to politics, joining the Social Democratic Federation. After a dispute with his employer, he lost his job in 1907 and his health began to deteriorate. The recession and his ill health made it difficult to find work and he began to write to keep his daughter and himself out of the workhouse. His writing was heavily influenced by his experiences of the relationship between the employer and the worker and his socialist beliefs. He adopted the pen name Tressell (after one of the tools of his trade, the painter’s trestle table) to avoid getting blacklisted for his political views. The resulting book was rejected by three publishers and Robert was on the verge of burning it in his despair. Luckily, his daughter Kathleen saved it and would later fight to get it published after his death. He was so disillusioned with life in Britain by this time that he decided to emigrate with Kathleen to Canada. He left her with her aunt in Hastings while he travelled to Liverpool to earn money for their passage, but no sooner had he arrived than his condition worsened. He was admitted to the Royal Liverpool Infirmary in November 1910 and died of pulmonary tuberculosis on 3 Feb 1911, aged just 40 years. By then in extreme poverty, Robert was buried in unmarked paupers’ grave in Liverpool Parochial Cemetery, later known as Walton Park Cemetery, along with 12 other bodies. The location of the grave was unknown until 1970, but is now marked by a memorial stone, paid for by subscription and sponsored by Liverpool and Hastings Trades Councils in 1977. In keeping with Robert’s beliefs, his name is recorded alongside his fellow paupers. His book was finally published as a result of his daughter’s determination, although only in an abridged format until 1955. It has been credited with playing a role in Labour’s landslide victory in 1945 and is still hugely influential today. St James Cemetery, nestling alongside Liverpool’s Anglican Cathedral, is a little haven of peace and tranquillity away from the urban bustle. But this oasis of calm hides a long history of life and death in the city. 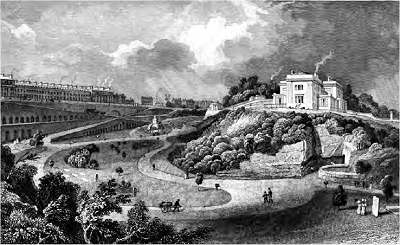 From the sixteenth century, the land was used as a stone quarry, providing sandstone for the growing town of Liverpool. By 1825, it had been mined to extinction – with no useful stone left, it formed only an ugly scar on the landscape. However, other parts of city were overcrowded: the cemetery at Low Hill, Everton, for example, was near-full and it was increasingly hard to find space to bury Liverpool’s dead. 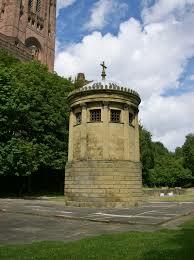 The corporation proposed a new cemetery on the site and raised £20,000 by public subscription. John Foster, a Liverpool architect and senior surveyor to the Corporation of Liverpool from 1824-34, was commissioned to design a cemetery in a similar style to the famous Père Lachaise Cemetery in Paris. He created a magnificent and dramatic space. Along the east wall, a series of ramps led to 101 catacombs cut into the rock face, while below, winding, tree-lined pathways crossed the burial ground. Looming above, to the north-west, was the Oratory, the cemetery’s chapel where funeral services were held, a Greek-style temple which is still standing today; and a house for the Minister, now long gone. Perhaps the most famous burial was that of William Huskisson, the MP we wrote about in October last year, who was the first person to be killed by a passenger train in 1830 during the official opening of the Liverpool to Manchester Railway. But the cemetery housed a mind-boggling 57,773 others. The rich were laid down in catacombs and vaults while the poor were buried in pits, covered only with a thin layer of soil before others were laid down on top of them. Kitty Wilkinson (whose story featured in last week’s blog), John Foster (the architect himself), Robert Cain, founder of Cain’s Brewery in Liverpool and Sir William Brown, the merchant banker who donated the money to build Liverpool Central Library were all buried here, amongst many other notable Liverpool citizens. The last burial took place in July 1936 and there was little maintenance or security in the years that followed. Unsurprisingly, St James Cemetery degenerated, unloved and unwanted. Only in the late 1960s did the fortunes of the area shift for the better. Plans were laid out for a public garden and the vast majority of gravestones were moved. The urban park now enjoys Grade I Historic Park status and is used by individuals seeking a quiet moment’s reflection as well as families and community groups. Many clues to the land’s former uses remain and it’s fascinating to wander round and look at the reminders of the thousands of lives that ended here.